Toast is a store-front restaurant located in the ground floor of the Horizons condo complex directly across the street from Nantasket Beach. You can see the ocean from through the large windows at the front of the restaurant. The vibe is casual, bright and family friendly. There are about 10 tables plus 5 or 6 stools at a counter. Toast is open for breakfast and lunch Tuesdays through Sundays. They take credit cards so don’t worry about having to remember to drag your sleepy head to an ATM before getting your morning coffee fix. The breakfast menu’s offerings average around $7 per entree. 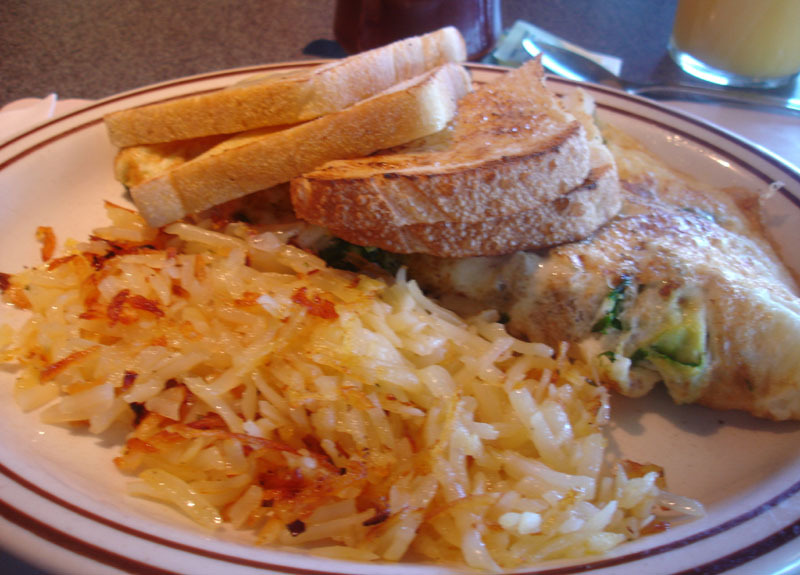 There are a selection of omelets, egg sandwiches, pancakes and other dishes. We order two of the options from under the Toast Specialties heading. The “burnt toast” ($6.50) is creme brulee battered french toast with caramelized sugar. 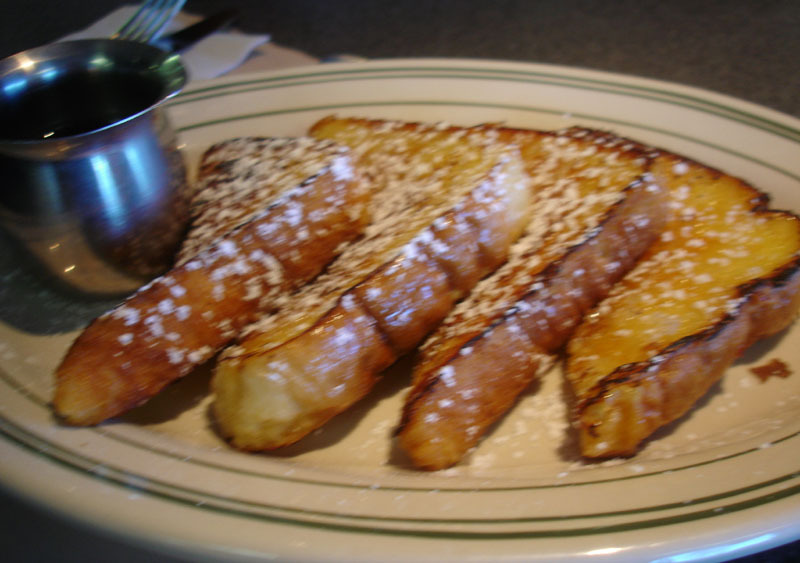 Four thick slices of french toast were served sprinkled with powdered sugar. The french toast had a sweet crackly thin crust of sugar giving it that creme brulee feel. The french toast is served with real maple syrup, so bonus points to Toast for not forcing us to use the imitation stuff. Service is on the slow side on Sundays since the place fills up and they can only push so much food out of the small kitchen at a time. We had to wait about half an hour between ordering our food and it arriving in front of us. For me it was worth the wait, but my husband might take some convincing!